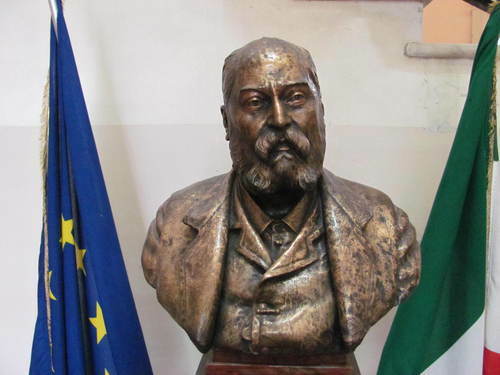 Luigi Amabile's bust is located in the main lobby of a school named after him in Avellino (Via Lorenzo De Conciliis, 13). 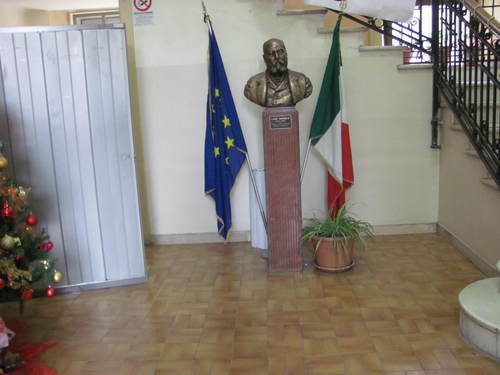 The pedestal is labeled with the date of birth and death of Amabile. The plaque, applied on the pedestal, shows the date of birth and death. 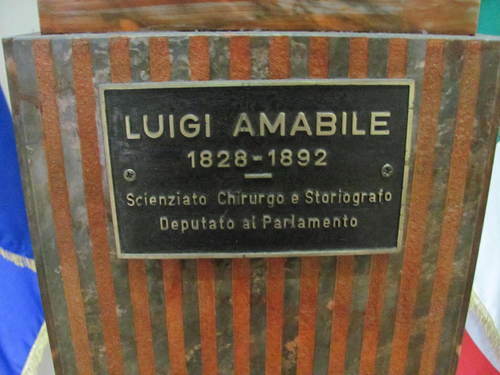 The inscription reads as follow: "LUIGI AMABILE / 1828-1892 / Scienziato chirurgo e storiografo / deputato in parlamento". 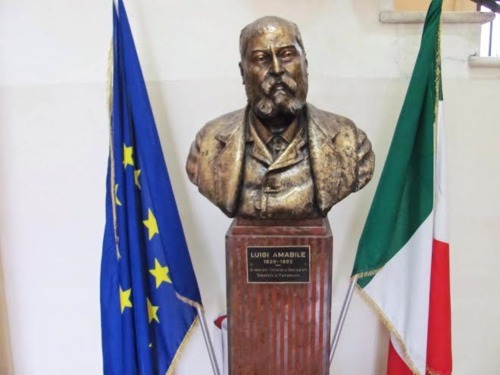 The name of the school in Avellino where is Luigi Amabile's bust. 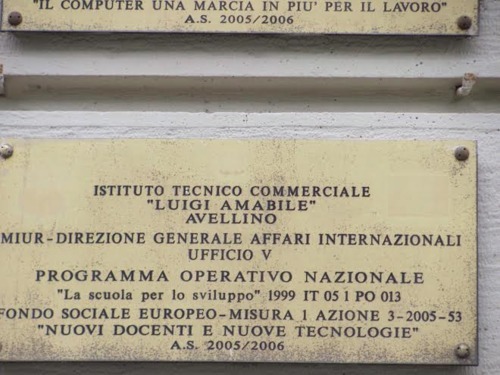 Photos, main text and page layout by Gennaro Giovine moc.liamg|enivoigoranneg#| and Mattia Iuliano moc.liamg|ittamiliba#| (January 2016), courtesy of the "Istituto Tecnico Commerciale Luigi Amabile - Avellino"